Care to guess who said this? I’ll give you a hint, it wasn’t Senator Dianne Feinstein. And it wasn’t Senator Spartacus, Senator Pocahontas, or anyone from the Bloomberg-backed gun control organizations. This quote came from Attorney General nominee William Barr, during his confirmation hearings earlier this week in front of the US Senate Judiciary Committee. 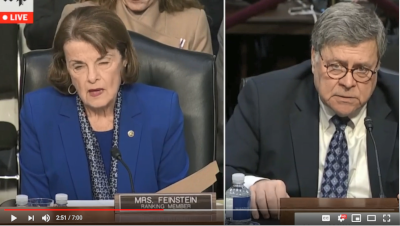 The answer came as Senator Feinstein was questioning Barr about his views on the Second Amendment, especially if he would support her efforts to ban hundreds of variants of the ever-popular AR15. Rather than tell her ‘NO,’ Barr proceeded to tell Senator Feinstein that he wants to see ‘Red Flag Gun Seizure’ legislation passed into law, to address the issue of mass shootings. I have to tell you, I was in the middle of doing a Facebook live update from the capitol in St Paul when MGR members first informed me about this, and, at first, I hoped they had heard him wrong. But when I saw the video for myself, my jaw dropped. You can check out the video exchange for yourself, right here. With this one statement, William Barr has made it clear that far from fighting for the Constitutional right to keep and bear arms, he’s willing to go along with the radical gun-control lobby in Washington, D.C.
That’s why I hope you’ll take a moment to send our PRE-WRITTEN EMAIL to US Senators Klobuchar and Smith, urging them to oppose William Barr’s nomination! ‘Red Flag Gun Seizure’ legislation is the most dangerous attack on our gun rights in a generation. Consider what’s at stake. A gun owner, with absolutely no criminal background of any kind, can have his firearms seized before he ever sets foot in a courtroom. >>> The hearings that determine whether or not to strip you of your firearms happen in secret! >>> The mere fact that you recently purchased a firearm or any ammunition constitutes evidence that can be used against you! So just buying a firearm or a box of .22’s could be enough for a judge to order you stripped of your firearms. And instead of our next Attorney General fighting to defend the right of due process — not to mention the 2nd, 4th, and 6th Amendment — William Barr is eager to work to implement this attack on gun owners at the national level! I don’t know about you, but hearing Senator Feinstein giggle with excitement about the thought of passing yet another gun control bill into law makes me sick! We need Senators Klobuchar and Smith to OPPOSE William Barr’s nomination as Attorney General. Please send your PRE-WRITTEN EMAIL right away! As you’ll see, sending your email takes just seconds, as the email is pre-written and goes directly to Senator Klobuchar and Smith’s inboxes. Please fire off your emails immediately! And if you haven’t yet renewed your membership in Minnesota Gun Rights for 2019, I hope you’ll do so right away! P.S. 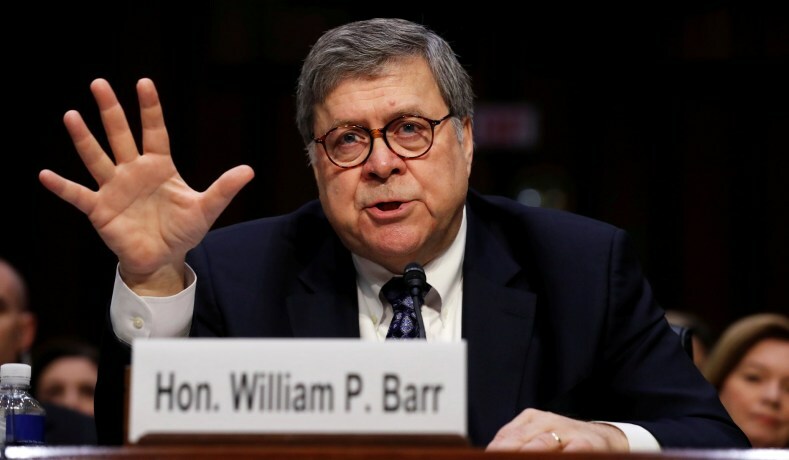 William Barr’s aggressive support for ‘Red Flag Gun Seizure’ legislation, which violates the 2nd, 4th, and 6th Amendment, makes it clear he must not be confirmed as our next Attorney General! Please email Senators Klobuchar and Smith immediately, and insist that they fight for gun owners, by opposing William Barr’s nomination to be our next Attorney General. The fight for gun rights is raging both here in St Paul and in Washington, D.C.; please make sure you’ve renewed your membership in Minnesota Gun Rights for 2019!